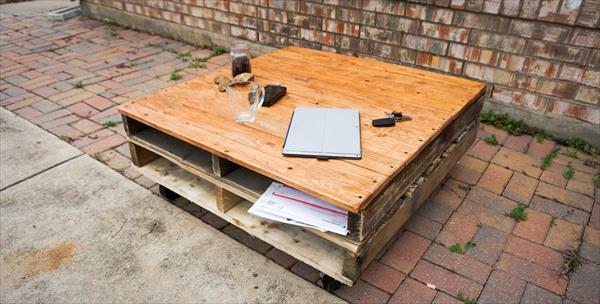 Build free coffee table out of pallets and all you need is to adjust the pallets over on another! 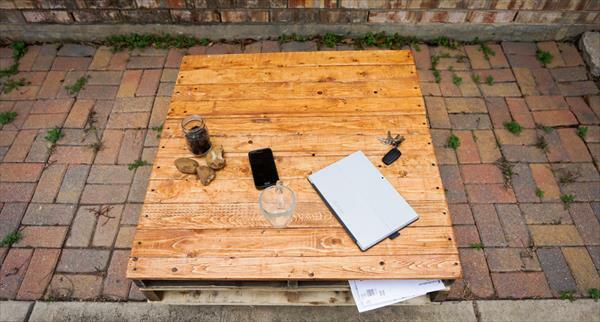 Checkout this DIY pallet modern coffee table design, a fully functional layout of table to use at any outdoor and also in your cozier living room ambiance! 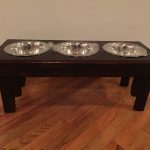 Table has wholly been installed by packing two reclaimed rustic pallet skids and is also storage friendly! Join 2 pallet boards and get them in super stable position using suiting hardware! If you find it tough to move this heavier wooden mass, you can simple raise that pallet-bunk on wheels for fast and effortless movement! 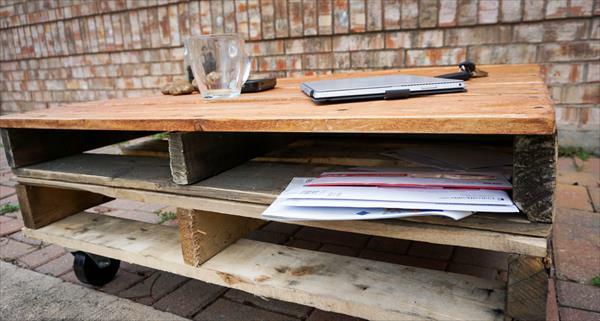 This table design refers to both the clever use of pallet openings and overall rectangular shapes of them! Without any cutting and dismantling of pallets this precious wooden table has been built and is also free of cost! 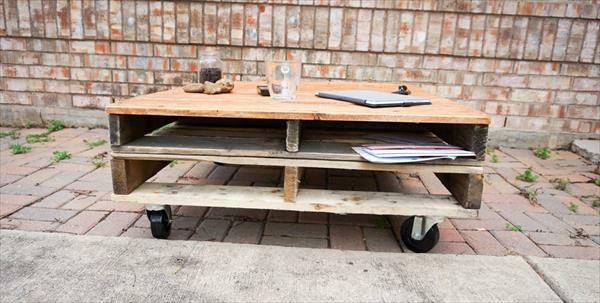 Manage a good supply of pallets now to gain this rocking piece of table for routine and occasional use!